Barter Books : Brooks, Robert R [ed.] 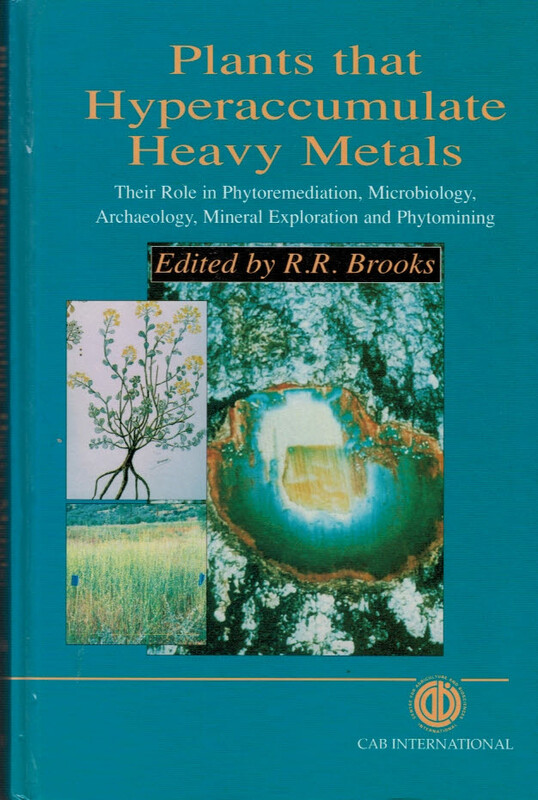 : Plants that Hyperaccumulate Heavy Metals: Their Role in Phytoremediation, Microbiology, Archaeology, Mineral Exploration and Phytomining. 240 x 150 mm (9 x 6 inches) - xii, 380pp. VG : in very good condition without dust jacket as issued. Previous owner label to front paste down.